Working with children with challenging behavior can be, well, challenging. 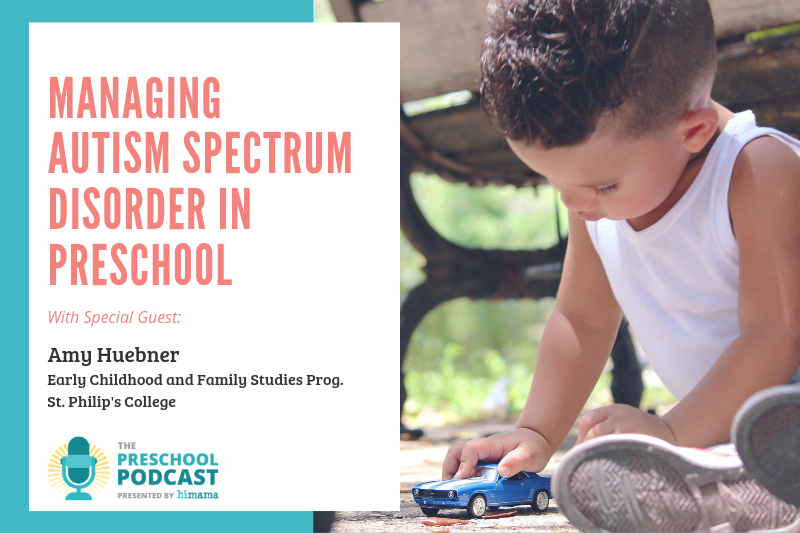 In this episode, Amy Huebner, Faculty Instructor of Early Childhood and Family Studies at St. Philip’s College in San Antonio shares her experience identifying children who are on the spectrum, communicating this to parents, and creating an environment that is structured, consistent and has access to the right tools to work with special needs children more effectively. We do the best that we can while they’re with us and give them the best environment and the tools they need to be successful. What the parent does outside of school is their prerogative. But I always make sure that whether or not they back me I’m going to put things in place in my classroom that I know are going to be of benefit to that kid. 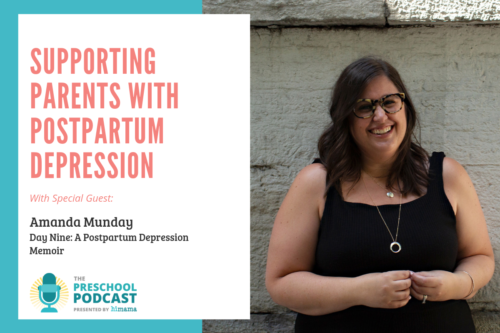 Amy, welcome to the Preschool Podcast! HUEBNER: Hi, how are you? SPREEUWENBERG: I’m doing great. Everyone, we’re really excited today because we have Amy Huebner on the show. 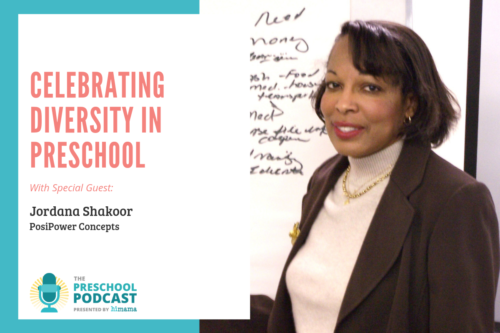 She’s a faculty instructor at St. Phillips College in the Early-childhood and Family Studies program. She’s in San Antonio Texas, and we’re here to talk to Amy today about managing challenging behaviors for children with an autism spectrum disorder and ADHD, something that she’s spent a lot of time studying and is passionate about. Amy, give us some background on how you got so passionate about this subject and your work that we’re going to dive into here today. 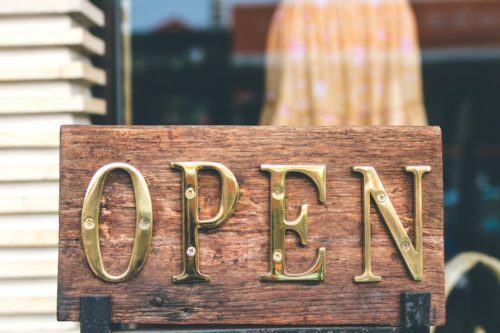 HUEBNER: Okay, well, I guess I first got passionate about it when I was thrown into a classroom and told that I had a child coming to me with classic autism spectrum disorder. And I really had not had any kind of interaction with a child on the spectrum before. I got her and wow, I was not prepared at all. And I watched this child really go from no kids wanting to be around her, kind of ostracized, to… we did some really intensive behavior modification with her and we worked really hard with her. I met with specialists all the time, and I watched this kid do a 180 [degree turn]. And she ended up being one of the biggest role models for her five years in elementary school, which was just remarkable to see. And it was fantastic for me to be a part of. And so I went back to school and got my master’s [degree] in special [education] and did an autism specialty. And lo and behold my brother was diagnosed at 42 years old with an autism spectrum disorder, the former term “Asperger’s”, which nobody knew back then in the 60’s that that’s what maybe was his issue because everyone kind of neglected it for the simple fact that he was a genius. He had a 160 IQ and he was just kind of that weird, quirky kid so everyone kind of passed and through. And now as an adult he really struggles with social skills and keeping and maintaining a job and relationships. So I’m passionate about it because I would hate to see someone go down that same path that he’s gone down, and I think early intervention is really the key. 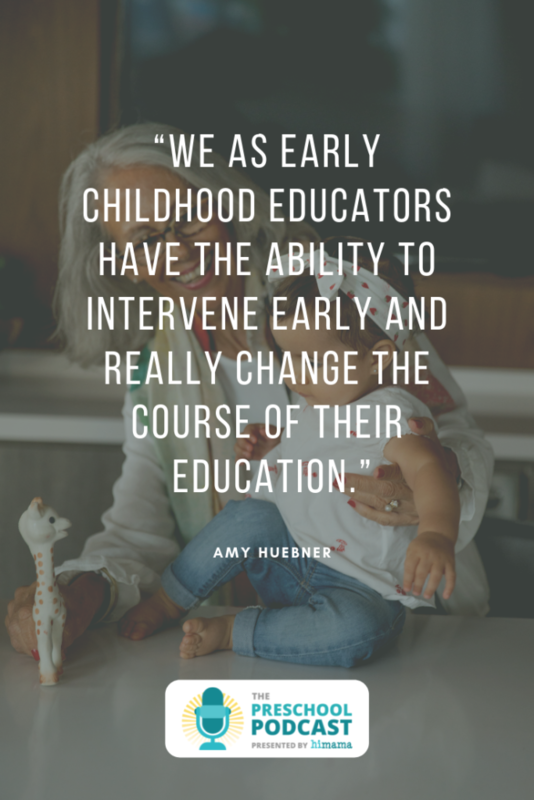 And we as early-childhood educators have the ability to intervene early and really change their course of their education and just social… and I mean, without social skills everything else is difficult. SPREEUWENBERG: Totally. And so let’s talk a little bit about autism specifically. And you talked a little bit about the background there and us understanding a little bit better. Based on your studies and the research that’s out there, what is the cause of autism? And I know certainly in some of the content that I’ve seen out there it appears that the numbers are increasing. Is there some reason behind that? HUEBNER: Well, I think we’ve gotten better at diagnosing it. Like I said, back in the 60’s it was just that kind of odd, weird kid that we didn’t really have a name for anything. And I think… you asked about what the cause of it is, and that has been a controversial issue for quite some time. Many have claimed and still believe that vaccinations are the cause behind it. It’s been proven time and time again that vaccinations are not the cause. All of the research that I’ve done and having worked with several of these kids, you’re predisposed; it’s hereditary; it’s a genetic thing. And while vaccinations do not cause autism, I think people make the correlation because right around the time the vaccinations happened and those children are I getting those shots is typically when the symptoms or the signs of being on the spectrum really start to come to light because they can diagnose as early as 18 months now. And that’s when those kids are getting vaccinations. So, yeah, I mean, I think you’re predisposed. And I think possibly it could be some kind of environmental factor that possibly sets it off or kind of puts it in motion. But they’ve done many, many studies and it seems to be genetic. SPREEUWENBERG: And your point about diagnosis is interesting, too. I’m sure that probably has quite a bit to do with the increasing number of cases of autism is just that we’re diagnosing it much better than we used to. Now, let’s talk a little bit about autism and ADHD in the context of an early-childhood education classroom. So what are some common reasons for misbehavior that teachers can pay attention to when it comes to these things? HUEBNER: Well, typically children… the most common reasons are attention, power, some are self-confidence issues, and some can be revenge. Those are more of your kids… those are rare, that [a] kid is typically revengeful. The most common reason for misbehavior and behind misbehavior is attention. Their needs are not being met in some way. And so they’re going to do what they need to do to get their needs met, whether it be some kind of sensory issue or the frustration that they don’t know how to express themselves. SPREEUWENBERG: And so you mentioned earlier about… talking a little bit about diagnosis. What are some warning signs or red flags that you might see with a child with an autism spectrum disorder? 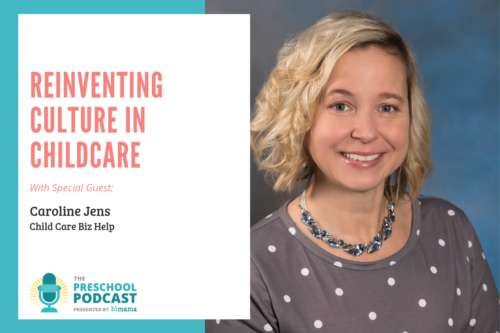 HUEBNER: So some of the early signs that you see, children, even as young as 6-to-8 months [old], are typically starting to respond to their name. And if they’re not, and they maybe appear like they’re deaf, I mean, you want to have their hearing checked first and ruled that out, of course. But the kids that don’t point at objects, if you’re showing a baby an object and they’re nonresponsive to it or don’t try to mimic you in hand movements or blowing a kiss or that sort of thing, that’s a little bit of a red flag. Avoiding eye contact, that’s another one. Some just maybe don’t. A lot of people want to… they’re very focused on that when they’re trying to correct a kid on the spectrum, trying to correct their behavior. They’re like, “I need him to look at me.” And studies have shown that these kids that are on the spectrum, they tend to focus on… they’re better when they look away from you because they get so caught up in the movements of your mouth that they can’t hear what you’re saying. So when they look away they can process it better. Delayed speech, no speech, that’s a red flag. Repeating words or phrases over and over, that echolalia, giving unrelated answers to the questions that they might have, they’re kind of off-topic, always they’re hyper-focused on one thing. A lot of kids on the spectrum you’ll see habit have a bit of an obsession with something in particular. Those kids that… nobody really likes schedule changes or a disruption in your schedule, throwing a wrench in at the last minute. But the kids on the spectrum have a much more difficult time regrouping if there’s a minor change in the schedule. So those are those are some of the biggest ones that you can look for that might be cause for having a conversation with a parent and just telling them what you see and suggesting that they maybe mention to their pediatrician next time they talk with them or have a checkup. SPREEUWENBERG: So is that the recommended approach? So if I see this, as an early-childhood educator, I see some potential warning signs, is just to recommend to the families that maybe they talk to their pediatrician about some of the things that they’re seeing? HUEBNER: Right. But you need to be very, very careful. And and I tell people this all the time: Be very careful in your approach. And it really is all about your approach. When you are going to a parent who for a child potentially has a disorder or some kind of special ability, as we like to call them, you need to be very careful in how you’re doing it. And I would never go to a parent and tell them, “I think your kid’s on the spectrum.” You’re going to get yourself in trouble if you do that. I would say, “I’m a little concerned about so-and-so. Little Johnny, he seems to not want to interact with other children.” And I always tell them – and I back it with evidence – you want to have evidence, you want to have documentation. And then I tell them, “What concerns me is the other children his age are doing this, this and this.” You want to be able to tell them what a typical child is doing, as opposed to what you’re seeing. SPREEUWENBERG: Yes, good tips. And what if this ends up becoming a little bit more of a challenging conversation with parents? Is there a point where you go to somebody else to recommend something? Or how does that play out? You want more than one person. And so I’ve had directors and principals come in and they observe each child and then they’ve had a conversation with the parent. And it can go one of two ways: they’re either going to back you or not, and they’re going to follow up with it. But the best thing that we can do is, we’ve got that kid probably for eight hours a day. And we do the best that we can while they’re with us and give them the best environment and the tools they need to be successful. What the parent does outside of school is their prerogative. But I always make sure that whether or not they back me I’m going to put things in place in my classroom that I know are going to be of benefit to that kid. SPREEUWENBERG: Those are good tips. And so let’s say you have a child in your classroom with Autism Spectrum Disorder or ADHD and they’re showing some challenging behaviors that you have to manage as an early-childhood educator. I’m sure we could have a whole separate podcast about this, not just an episode but a whole show. What are some strategies or tips that you can provide to our listeners out there for four helping to manage any challenging behaviors in their classrooms? HUEBNER: ADHD and autism spectrum disorders, they kind of go hand-in-hand. And normally I’ll say kids on the spectrum typically have a bit of an ADHD issue. And then you have your children with ADHD. The number one thing I will tell teacher: if you don’t have a structured classroom you will pay for it tenfold. I mean, you have to be structured. Those kids have to know expectations. 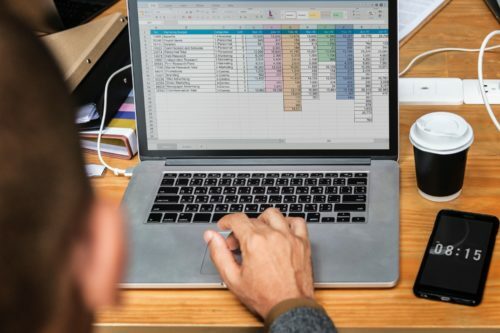 I am a stickler for schedules with… when you have managing behaviors in your classroom that are challenging, you have got to have a schedule, you’ve got to have expectations. You’ve got to be consistent. Structure and consistency are the two biggest things. And what works for one kid may not work for another. You might have to have several different things in place. And some of those can be reward systems, token systems. Yes, I believe that motivation should become intrinsic. But at such a young age they don’t have the maturity yet to necessarily have some intrinsic motivation to do the right thing or behave the right way. And so you’ve got to provide some support. I’m a big visual person. I think the majority of teachers are visual learners. And the more visual supports that you can provide and hand signals to show what you’re looking for, different behaviors, any kind of visual support you can provide is going to be ten times more effective with a kid on the spectrum and ADHD than any other tool I could give you. And that can be something as simple as clip art. I mean, I’m showing someone sitting in their chair that you can simply hold up and say, “This is what I need you to do,” because then they’re hearing it, they’re seeing it – it’s double. SPREEUWENBERG: So there you have it: structure, consistency and visuals are very helpful. Some really good tips there from Amy. If I’m listening to the Podcast, Amy, and I want to learn more about this subject or I want to get in touch with you to learn more about your work, where’s the best place that I can go? HUEBNER: Well, you can reach me… at my email address is AHuebner@alamo.edu. And there are tons of resources out there on [websites] like www.AutismSpeaks.org. Most every city or state has a chapter on autism that you can go and find resources [on]. I’m a huge Pinterest person, too. I go on Pinterest and get tons of different things on there for early-childhood classrooms that have to do with managing behavior. www.TeachersPayTeachers.com, they have lots of great resources on there also that you can print up. And many are free and many are low cost maybe a dollar and you get the whole file that they want. SPREEUWENBERG: Cool. Some awesome resources for everybody to check out, there. 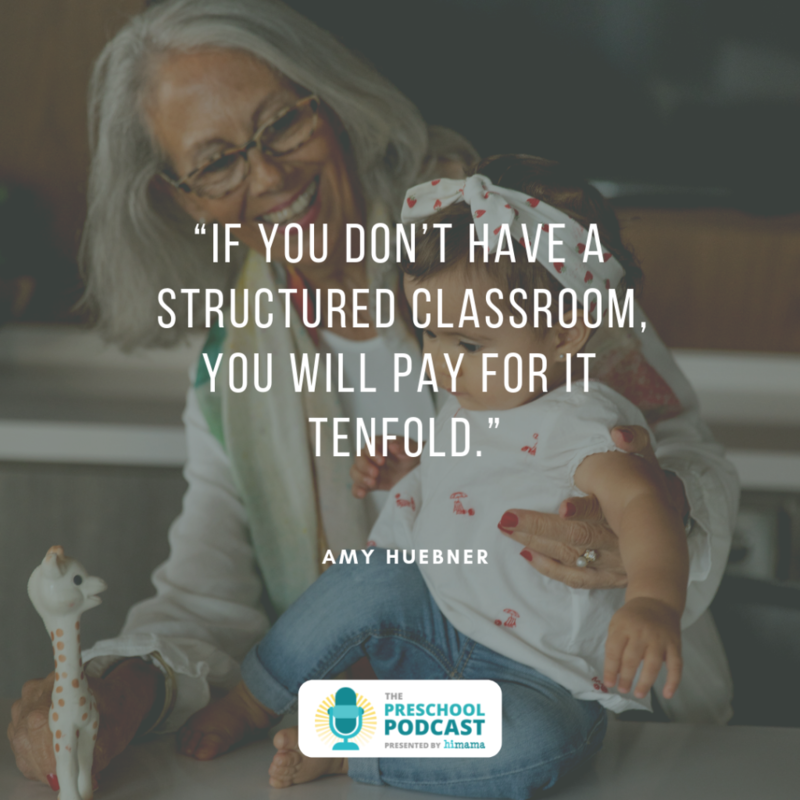 A very important subject, a very relevant subject and a subject that a lot of early-childhood educators out there aren’t necessarily prepared to deal with in their classrooms, which is what happened to Amy and why she got so involved in this. And also whenever we talk about subjects like this and challenging behaviors that we have to deal with in the classroom it always reminds me to remind everybody that as early-childhood educators it’s our responsibility to work with these children and help with their development. 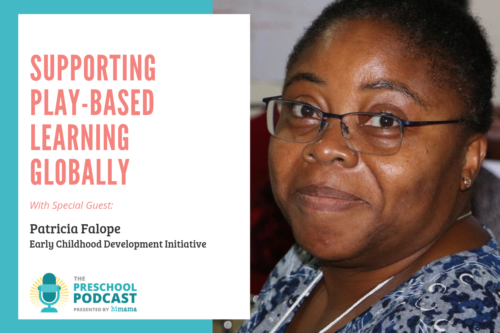 And as Amy said very accurately, early intervention is one of the best things we can do to help support these children with their learning and development. Amy, thank you so much for everything you’ve shared with us today, your passion on this subject matter and for sharing all of these resources with us. It’s been great having you on the show. HUEBNER: Thank you so much for having me. It was a pleasure.